I stepped into an electronics mall in China for a reason I can't recall, and was immediately disoriented by the wall to wall advertising plastered everywhere — even hanging from the ceiling for good measure. 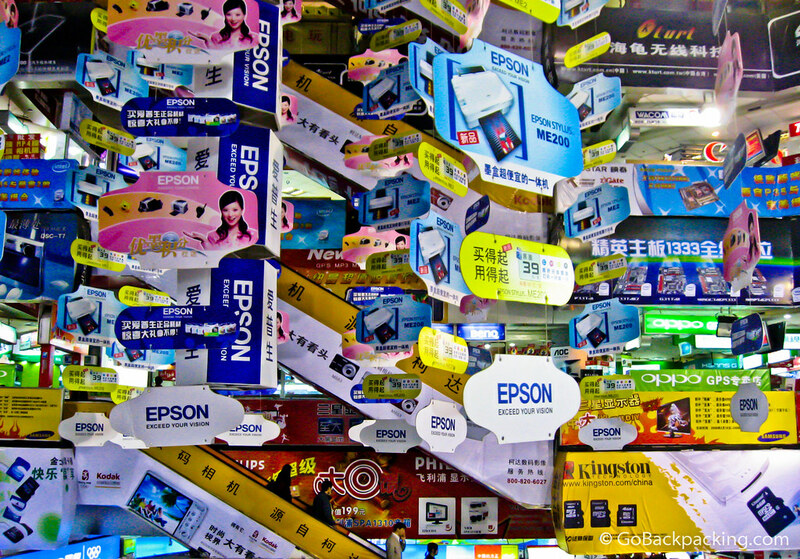 The inside of an electronics mall in Chengdu, China features wall to wall advertising. Can you spot the escalators? Hahaha – That’s completely ridiculous! Haha I love this! Wish I’d visited this mall when I was in Chengdu!